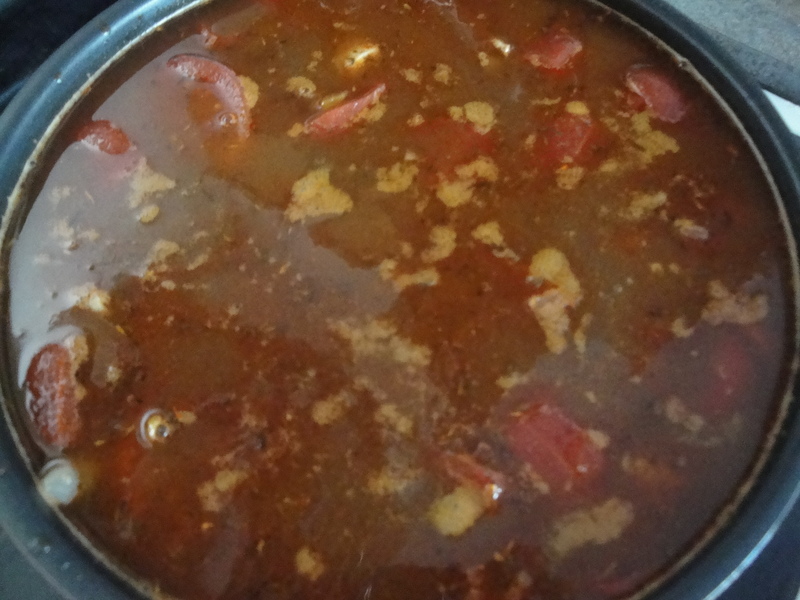 Chili is usually a recipe that I make the first weekend that football starts, no matter what the temperature is outside. So, making chili in November is pretty late for me. 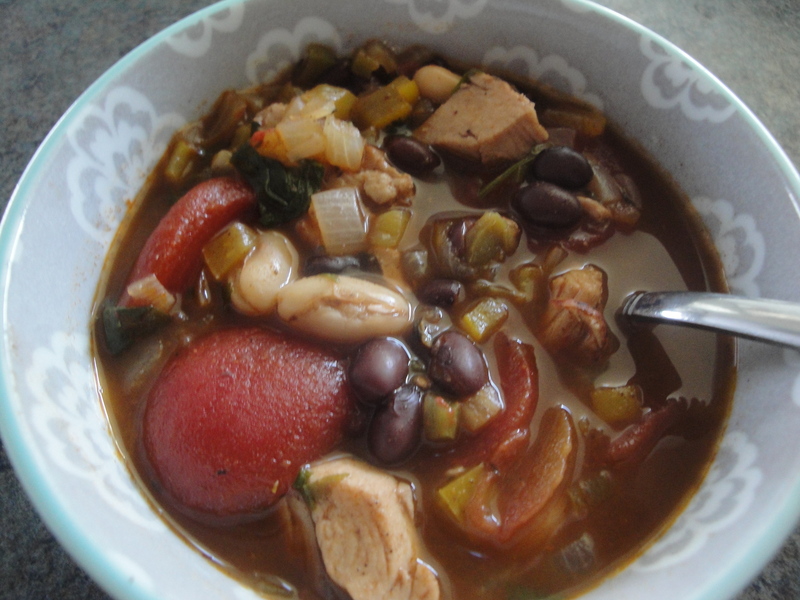 But this recipe for Jerk Chicken Chili was worth the wait. 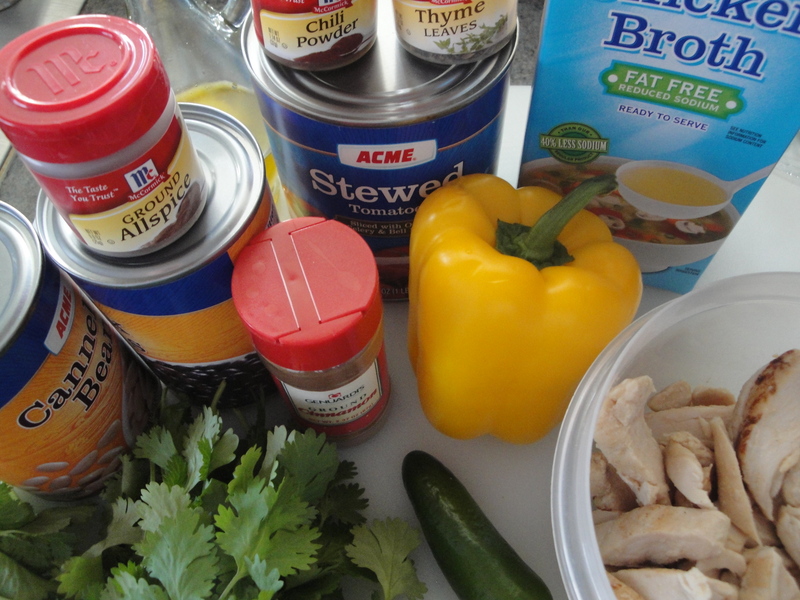 This recipe came from Glamour Magazine – a surprising source of tasty recipes. This chili is different than your regular chili but still just as hearty and comforting. 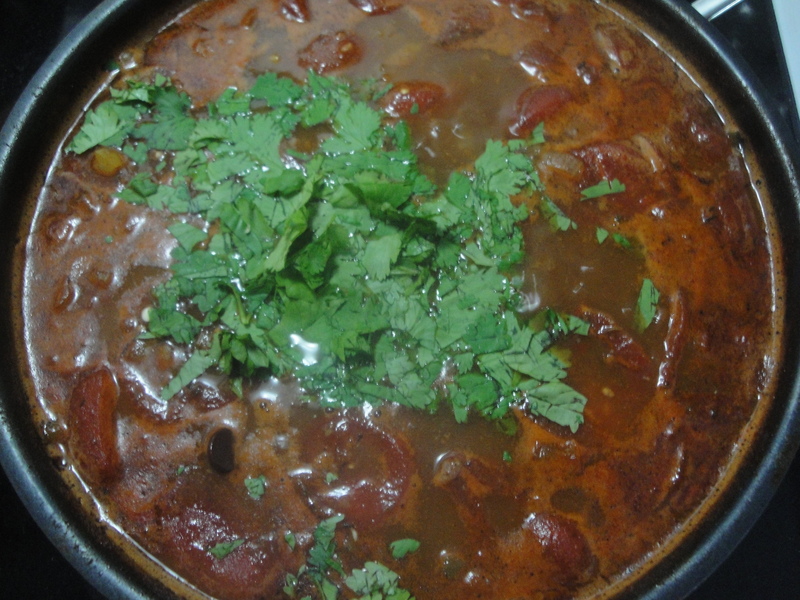 The spices in this chili – chili powder, thyme, allspice, cinnamon – are cooked with onion and yellow pepper early on which brings out their natural oils and intensifies their flavor. 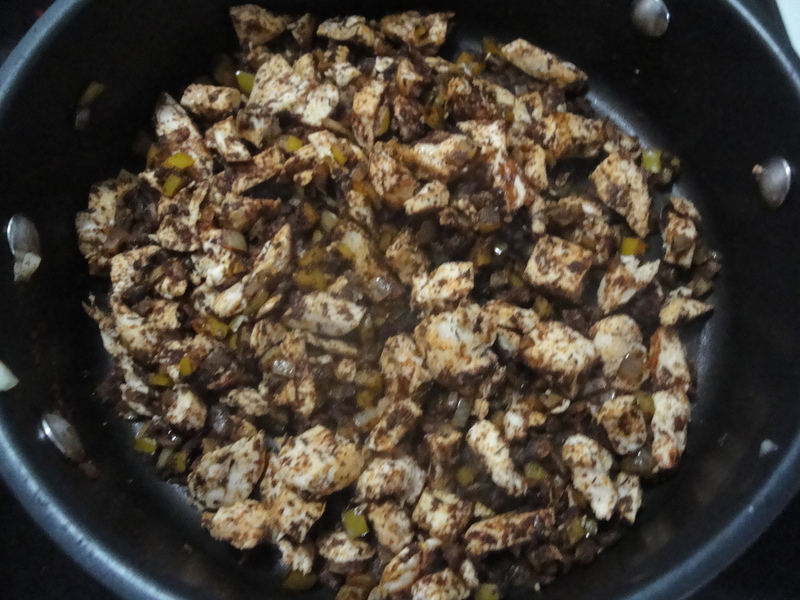 Chicken is added and coated with the spice mixture before being simmered with the liquids, beans, and jalapeño. Fresh cilantro and (surprise!) chocolate are added at the end to deepen the flavor of every bite. I left the garlic out of this recipe for one reason only: the editors at the magazine included it in the directions but didn’t include it in the ingredients! Ugh! Anyway, the flavor in this chili goes deep to create an intense, soothing chili that digs down and warms you to the core. 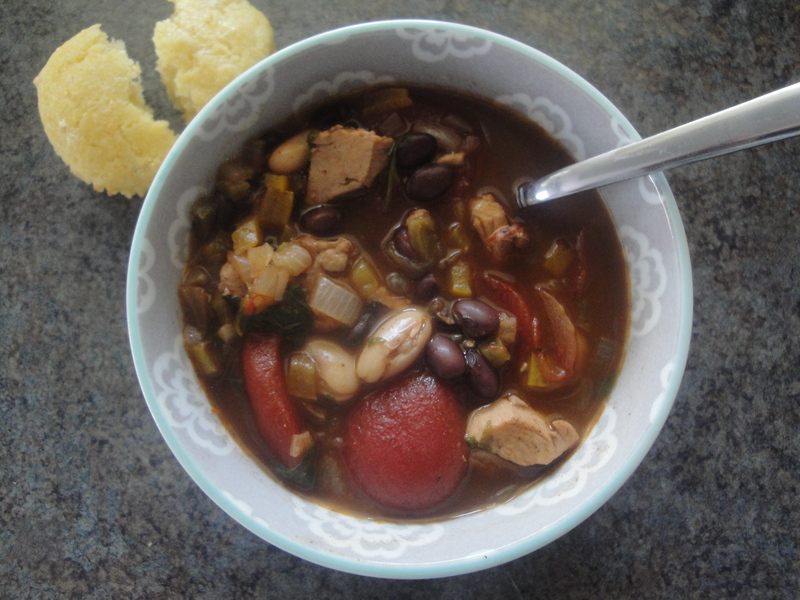 If you’re bold enough to try a different kind of chili, you won’t be disappointed with this! 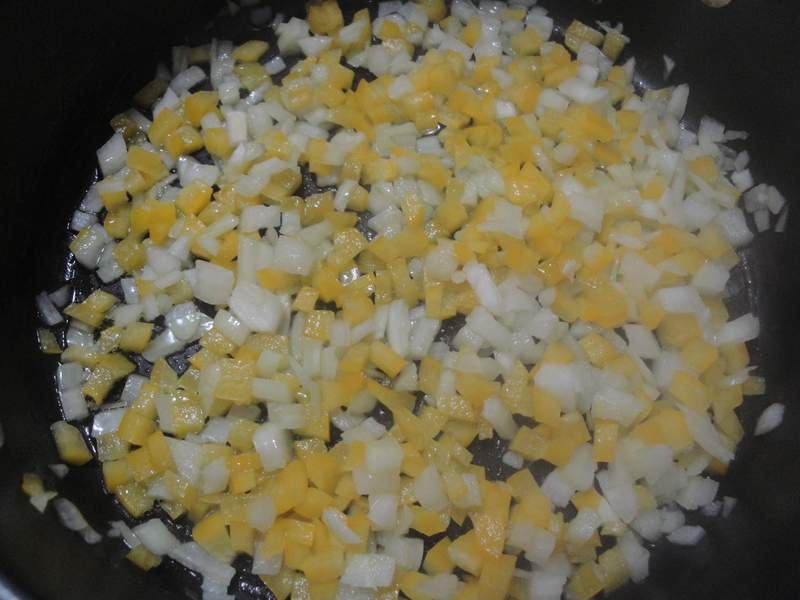 Heat onion and yellow pepper in olive oil until soft. 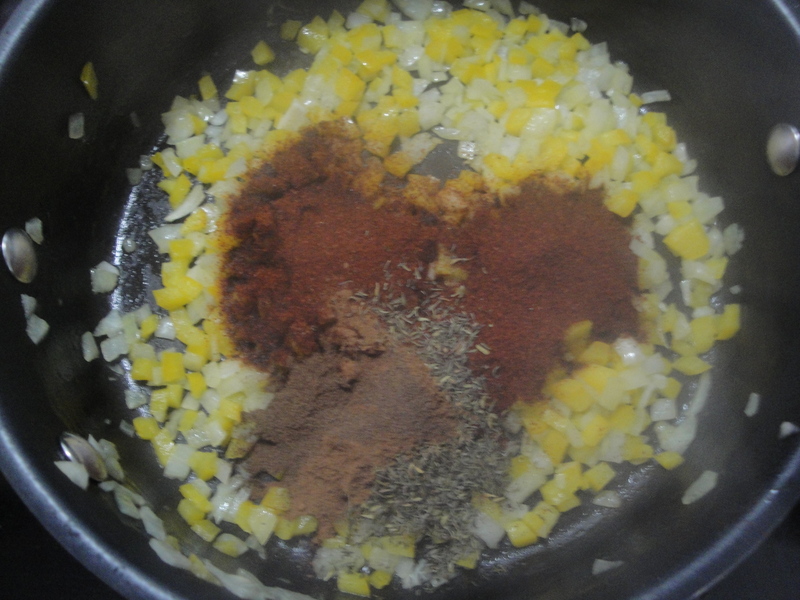 Add in chili powder, thyme, allspice, and cinnamon and cook until fragrant. Add in chicken and stir until coated with the spices. Add in broth, stewed tomatoes, black and white beans, jalapeños, and bring to a boil. Simmer for 20 minutes. Stir in cilantro and chocolate and let stand for 5 to 10 minutes before serving.